This article is the seventh in a series commemorating the American Evolution – Virginia to America 1619-2019 . See articles one, two, three, four, five ,and six here. Many of the early settlers in Virginia were well educated. While it became commonplace for the highest placed colonists to send their sons back home to England for a “proper” (that is Oxford or Cambridge) education, from early on the Virginia colonists recognized that the long-term success of the colony depended on a widely educated populace. This urge to educate its citizenry prompted leaders in Hampton to establish America’s first public school in 1634. Founded as Syms School, the institution was established to provide free education to local children. Twenty-five years later, the success of Syms School encouraged the subsequent founding of Eaton Charity School to educate the poor students of Elizabeth City County (now defunct, the county merged with Hampton in 1952). The two schools combined in 1805, and still exist as Hampton High School since it was re-formed in 1875. So through the centuries, Virginia has made notable strides towards and established national precedents for improving education, furthering the Commonwealth’s goals of promoting democracy and opportunity for its citizens. Four travel-worthy educational sites across the state provide a sense of Virginia’s rich tradition of furthering the innovation and evolution of education in the New World. Founded in Williamsburg in 1693 as a “place to provide universal study” for Indians and young male colonists, the College of William & Mary was the second institution of higher education established in America (after Harvard). Its architecturally significant Wren Building, built in 1695, is the oldest surviving academic building in the U.S. The college, named after its founders, King William and Queen Mary, gained additional prominence due to its location in the colonial capital. William & Mary is credited as having America’s first law school, and because of its influence on so many of Virginia’s Founding Fathers, such as George Washington, Thomas Jefferson and John Marshall, the university gained the nickname “the Alma Mater of a Nation.” The college also marked other significant “firsts” for American education – the first honor code and the first Greek letter fraternity. 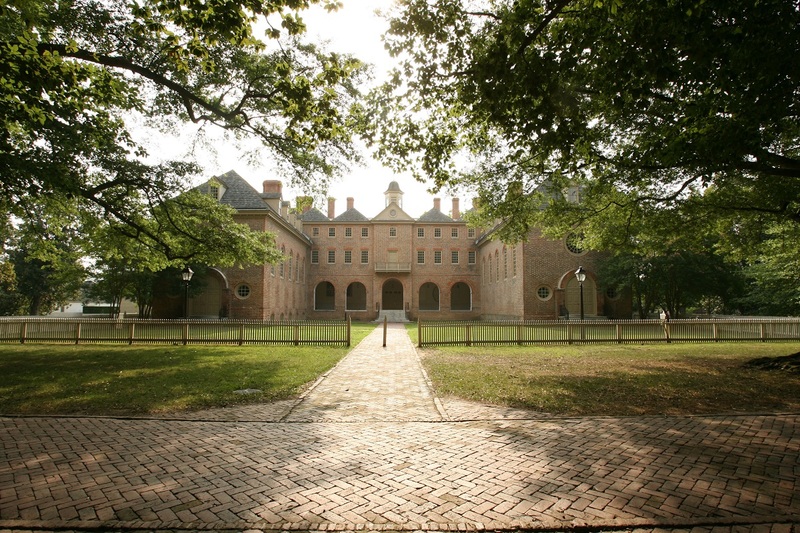 Although the college remains one of the most highly competitive in the nation, a tour of William & Mary and its Wren Building in the heart of the perfectly restored and preserved Colonial Williamsburg still instills a sense of awe and wonder for the influence it has wielded in the life of the state and nation. The first colleges in America were founded by religious denominations with a primary focus of educating young men for ordained ministry. An alumnus of William & Mary, the progressive-thinking Thomas Jefferson entertained a vision for a new type of public university divorced from the sectarian influences of America’s existing colleges. Unlike earlier colleges whose campuses were presided over by a central chapel, Jefferson’ revolutionary architectural plan for his “Academical Village” placed the Rotunda, a library patterned after the classical Pantheon in Rome, as the centerpiece of the University of Virginia. Significantly, in his plans for the university’s curriculum, Jefferson daringly omitted any religious component, integrating it into a general study of “moral philosophy” instead. Reflecting the spirit of the Enlightenment, his philosophical approach to education was humanistic rather than theological. Because of his approach, The University of Virginia became an invaluable nationwide model for how state-supported higher education should be conducted. The University will mark the 200th anniversary of its charter in 2019. Walking across the Central Grounds of UVA today, visitors are still impressed by how the physical incarnation of Jefferson’s grand vision for his university is intact and functional in the modern world, and how his unmistakable imprint persists throughout institution. They will also note how Jefferson’s architectural plan for the university deeply influenced the plans for numerous colleges around the country. In addition to his mountaintop home, Monticello, and the University of Virginia, Jefferson’s influence abounds throughout Charlottesville and surrounding Albemarle County. Visitors will recognize the prevailing Jeffersonian-style architecture imprinted on both private and public buildings. The numerous wineries of the Monticello Wine Trail acknowledges Jefferson’s role in making Virginia the birthplace of American wine. 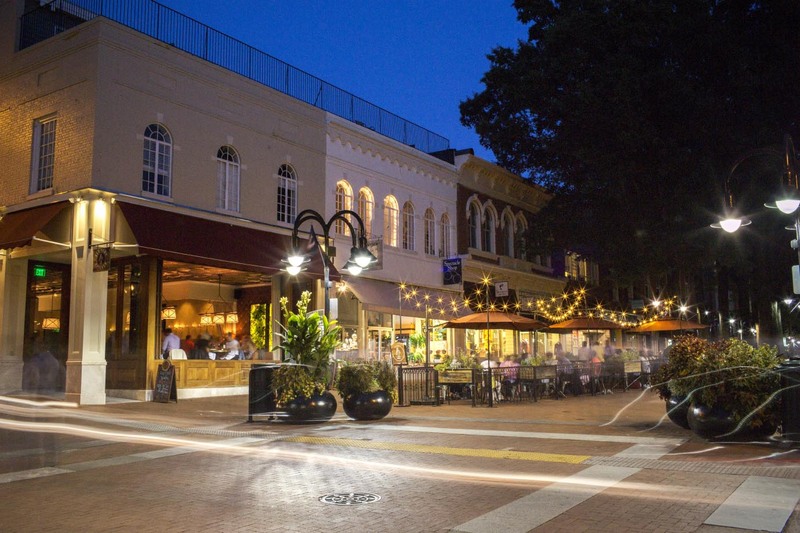 The intimately walkable Charlottesville Historic District, which encompasses the Downtown Mall and Court Square. A model of historic preservation, Charlottesville boasts many buildings dating to the early Federal period, when they were frequented by Jefferson and his compatriots, the “two James” – Madison and Monroe. You can even take home an enduring legacy from Jefferson’s horticultural fascination by stopping at the Thomas Jefferson Center for Historic Plants. Housed just down the hill from Monticello at Jefferon’s Tufton Farm, the center hosts several open-houses throughout the year. While Virginia made early groundbreaking strides in education as a means for increasing opportunity for its citizens, a large segment of its population were still denied access to education of any kind. The South’s onerous laws against enslaved Africans prohibited teaching them to read, effectively closing the door to even a rudimentary formal education, much less a college degree. This changed in the Reconstruction Period when a group of black and white social reformers established Hampton University in 1868, a mere three years after the Civil War ended, to provide a broad range of academic disciplines to newly freed African Americans. The institution has educated a staggering list of American leaders, including academic pioneer Booker T. Washington, groundbreaking NASA engineer Mary Jackson and Sylvia Trent-Adams, the first African-American nurse to serve as U.S. Surgeon General. Disregarding the state’s pre-war prohibition concerning teaching African Americans, in 1861 Mary Smyth Peak, a member of an elite antebellum black family in Hampton, began secretly teaching black students under an oak tree on what is now Hampton University’s campus. After the war, Peak was hired by the American Missionary Union to help found Hampton University. Later, another oak growing on the same grounds served as a rallying point as Abraham Lincoln’s Emancipation Proclamation was read aloud to the black residents of Hampton under its branches. The tree under which the Emancipation was read remains a focal point on Hampton University’s campus. Known as the Emancipation Oak, the tree stands as a living symbol of strength, perseverance and endurance. Across campus, a studied stroll through the Hampton University Museum provides a moving testimony to the struggle and ultimate triumph of equal education for all Virginia citizens. Located on the Virginia Peninsula, Hampton offers many other cultural assets, including the remarkable Virginia Air & Space Center at NASA Langley Research Center and Air Force Base. 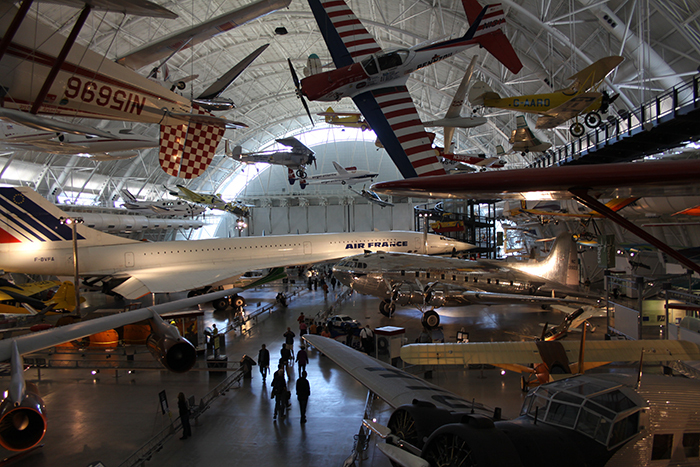 The center is a world-class aeronautics museum with hundreds of family friendly interactive displays and hands-on exhibits. The Hampton History Museum invites you to explore four centuries of American history, beginning with the early days of the Virginia Colony. Despite the initial strides made to provide educational opportunities for black Virginians immediately after the Civil War, once Reconstruction ended, Virginia along with the rest of the South, enacted detestable Jim Crow laws that reversed many of these advances. The “separate but equal” mantra purported to maintain distinctive public services to African Americans while maintaining racial segregation. The thinly veiled truth was that African Americans were provided separate services and facilities that were shabby and inadequate compared to those provided to white citizens. Finally by 1951, black students at Farmville’s Robert Russa Moton High School, led by an unassuming 16-year-old girl Barbara Johns, organized the nation’s first nonviolent protest that ignited the movement to end legally segregated education. The brave actions of those students awoke the conscience of the nation and initiated the groundswell that resulted in the U.S. Supreme Court’s monumental Brown vs. Board of Education decision that effectively ended legal segregation. The site of that first protest is now the Robert Russa Moton Museum, a National Historic Landmark that serves as a center for the study of civil rights education. The museum sponsors and hosts countless programs and events, including a Civil Rights Walking Tour and regular book-signings. While in the areas, also be sure to also stop by the Ester Atkinson Museum of Hampton Sydney College and learn about the 225-plus-year legacy of this distinctive all-male liberal arts colleges, one of few remaining in the U.S.
As visitors travel across the commonwealth, they will encounter many other distinct institutions that highlight Virginia’s enduring tradition of providing outstanding educational opportunities. 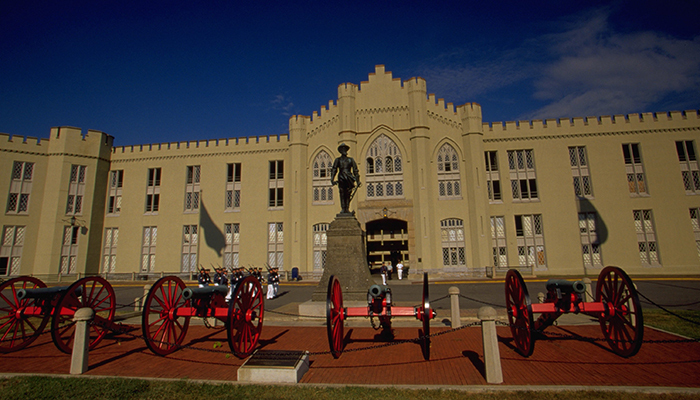 In Lexington, Virginia Military Institute, with its distinct traditions and grandly austere campus, perseveres as the nation’s oldest state-supported military college. In Richmond, Virginia Union University was founded in 1865 to provide newly emancipated freedmen a liberal arts education in a religious setting. 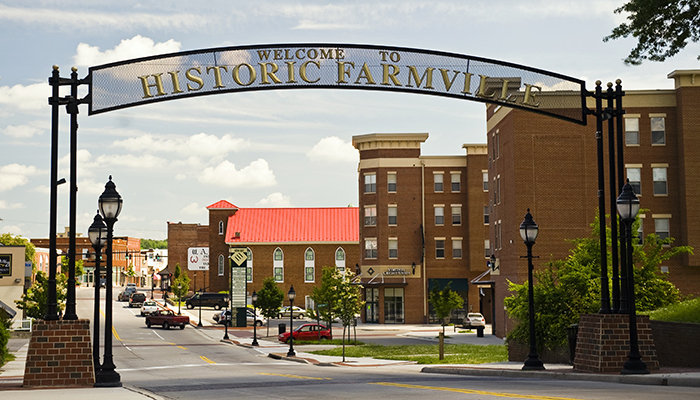 And the Civil Rights in Education Heritage trail offers a self-guided driving tour throughout Southside Virginia, marking 41 historic sites that convey the story of Virginia’s role in achieving civil rights in education for all citizens.